In the spring, snow runoff creates impressive waterfalls and rivers that course on the north side of the canyon at Paradise Forks, which is also a popular rock climbing location. 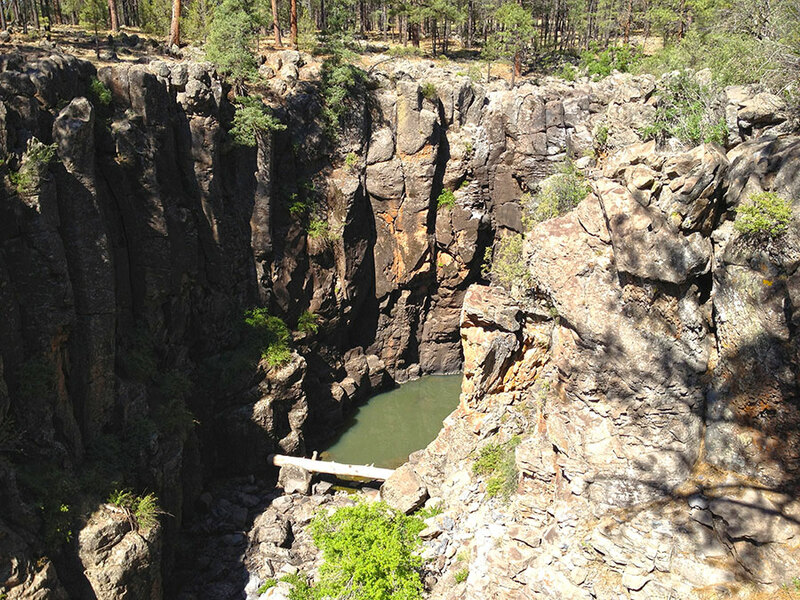 By June, the waterfalls disappear, but several pools remain at the Ponds, Paradise Forks, and the Pomeroy Tanks, providing key locations for refilling water, if necessary. There are five different trailheads strategically placed around the trail, along with a few information signs that describe the historic Overland Trail that bisects through the Sycamore Rim Trail. Our Boy Scout troop picked this trail to complete a 10-mile (16 km) hike for the Hiking Merit Badge, as well as train for our upcoming 50-miler summer adventure in July. We opted to set up a base camp about a mile (1.6 km) from the trailhead off Thomas Loop Road and begin our hike in the morning. 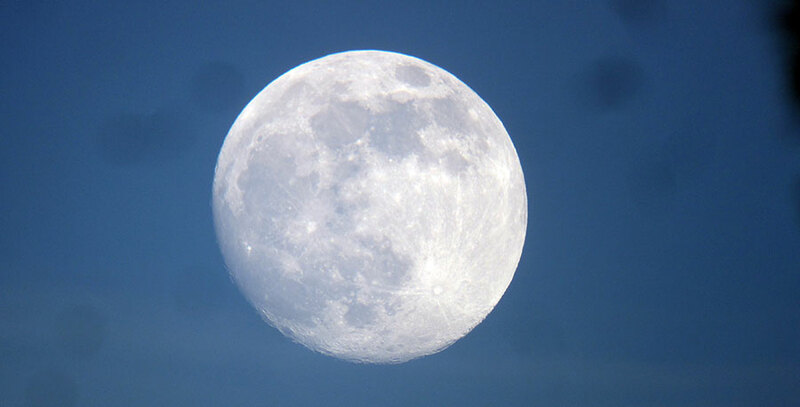 That night we were treated to a brilliant full moon. One of the parents who joined us brought along some amazing binoculars that allowed us to get some impressive shots of this lunar display. 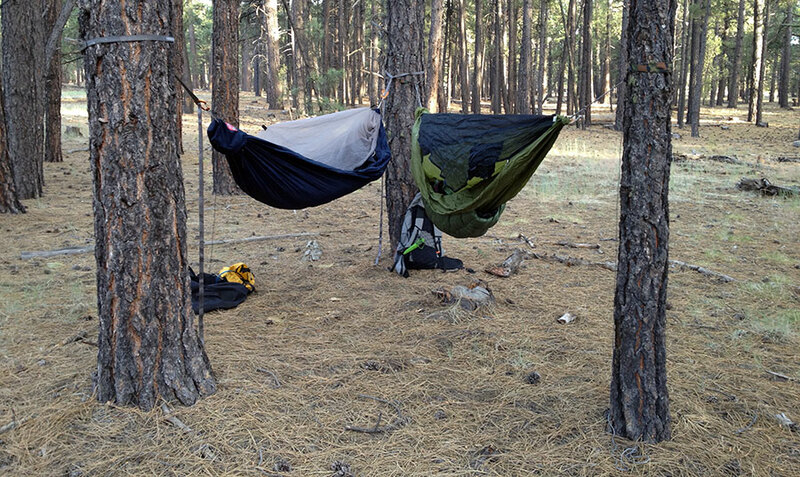 My son came with me on this trip and we set up hammocks in a “V” formation that was text-book perfect. 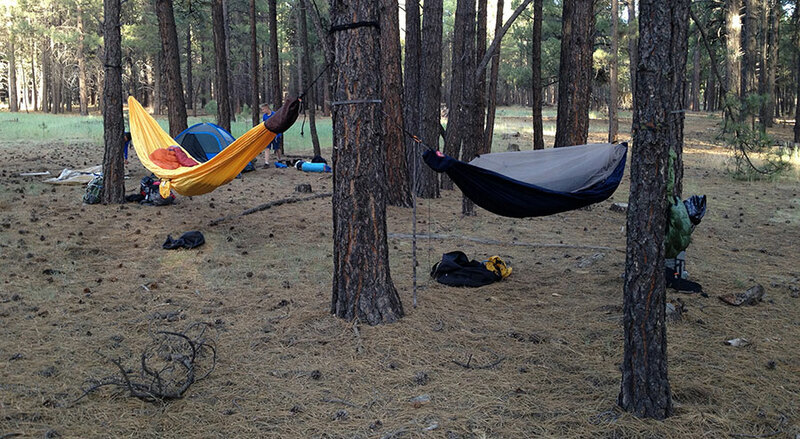 I also set up the Ticket to the Moon Mammock, a ginormous gathered end hammock that the scouts had fun playing in. 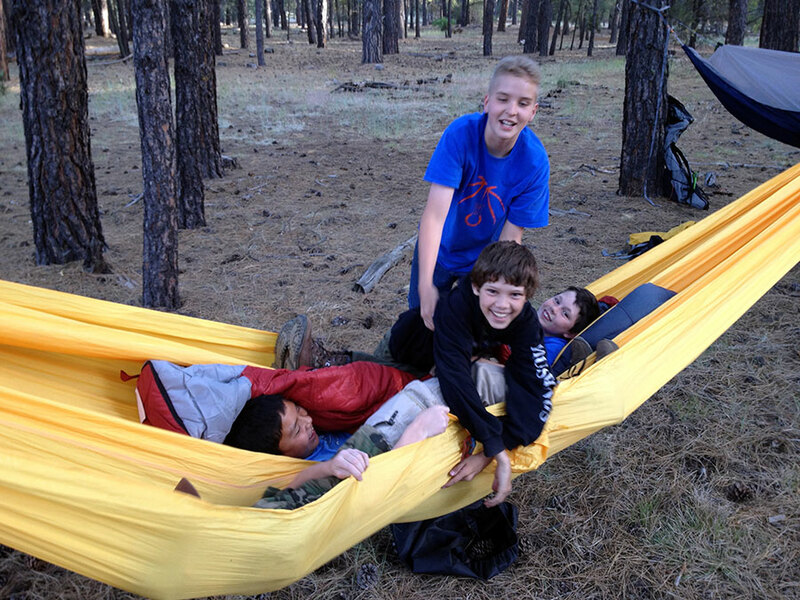 Two scouts ended up sleeping in the big hammock while the rest crammed into a small pup tent. The hike itself is fairly easy, except for a little rolling hills and a final ascent up KA Hill, for an elevation gain of about 800 feet (244 m). If I had my choice, I would have backpacked a few miles/km down the trail to the overlook of the canyon to set up camp. The views are absolutely stunning, especially when the morning light licks the edge of the canyon. While the scouts carried small day packs with water and snacks, I packed all my overnight gear and food in my Gossamer Gear Gorilla pack to get in some additional prep time for the 50-miler. I carried 3 liters of water, which was enough to get me through the hike with a little to spare. I had a few failures on this trip that were good learning lessons. First, I hiked in sandals, which is my preference when I do lightweight backpacking and day hiking. The sandals I brought were the Teva Itunda, which feature a closed toe design. Unfortunately, the heels were poorly designed, having stitches on the heel right at high stress points. This pair of sandals already had broken heel straps that I had repaired, but they both failed again on this trip. I hiked barefoot for a while as I waited for the sandals the dry long enough to do a field repair. Which brings up my second failure: I left my Duct tape at home! I have a habit of wrapping Duct tape around my fuel bottle, as I typically use a cat food can alcohol stove. With the current fire restrictions, I brought along a canister stove instead and left my Duct tape. Thankfully, one of the other Scouters brought some, so my shoes (and feet) were saved. Me and my wife backpacked that trail. It was awesome. I think sycamore canyon is far more beautiful than the G-canyon. Some trails are breathtaking. Great looking hike, thanks for sharing. I always enjoy looking at parts of Arizona that aren’t Phoenix. Where are the scouts planning to go for the 50-miler? Also, what’s the average age group you work with? Thanks Brian. We’re hiking up the Arizona Trail near Flagstaff. In fact, we will be basically hiking back home. 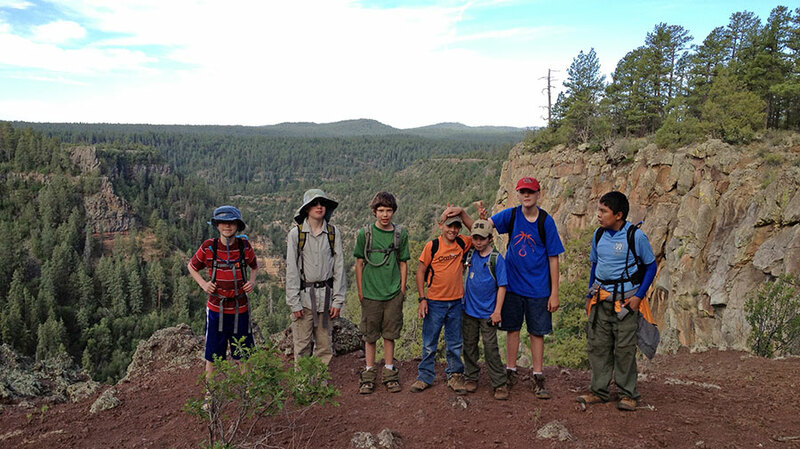 Our troop has an 11-year-old patrol and a 12-13 year patrol. Once the boys turn 14, they advance to the Varsity patrol. Very cool. We’re in the same boat (an LDS troop). Is your 11-year-old patrol coming along, or just the 12-13 year olds. Out of curiosity, what kinds of conditioning are you doing to get them ready for the 50-miler? Just the 12-13 year-olds. We had a few Varsity-age scouts come with us two years ago, but I think it will just be the younger scouts this time. We should have about 12 youth participants in this patrol. For conditioning, we’ve done a few backpacking trips of at least 10 miles (16 km) over the past few months, including the Sycamore Rim Trail I just posted. Hi my name is Rayden. 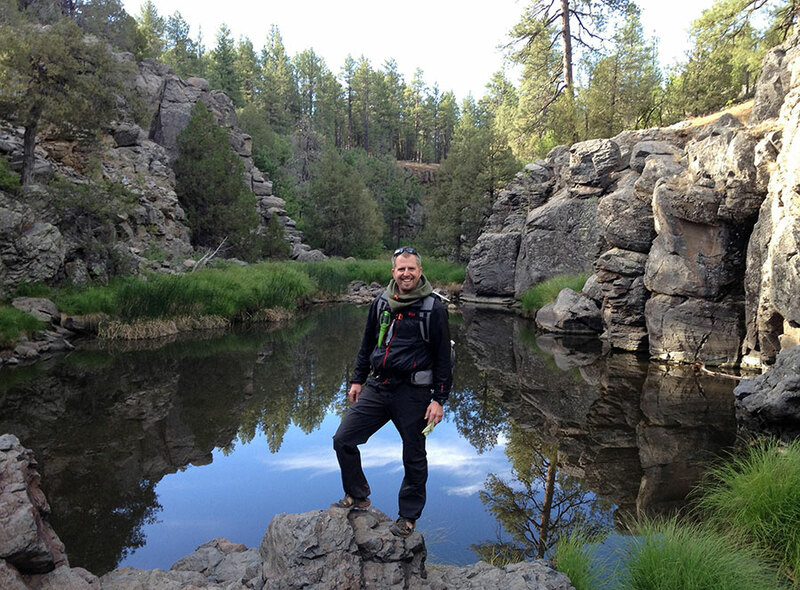 I went on the sycamore canyon loop hike. Looking forward to this hike again at some point in the future.